Identify your particular pest control problem. 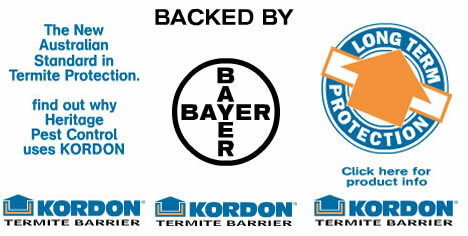 Select the Heritage pest control solution. Arrange to meet one of our service technicians. 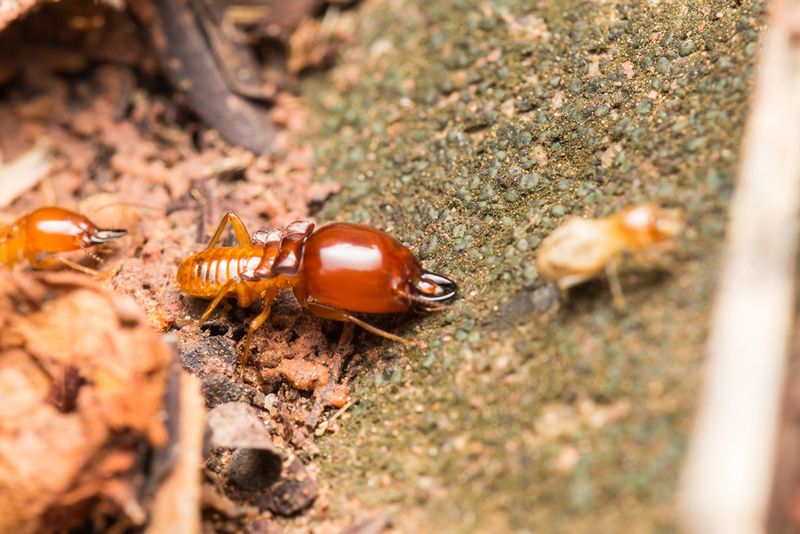 Heritage Pest Control is a leading provider of pest and termite control services throughout New South Wales.We aim to be the nation’s best pest control service company. We will accomplish this goal by delivering the finest quality services and value to our customers, while being environmentally responsible. We service a range of pests, like Termites, Cockroaches, Silverfish, Brown Ants, Black Ants, Bird Lice, Major Bird Problems, Possums, Rats, Spiders and Fleas. Our services also include ventilation rectification, timber pest inspections and reporting. Controlling these pests requires striking a balance between protecting the health and safety of your family and controlling the pest problem. Add to this the need to be environmentally aware and responsible then its no wonder that it’s a job for experts. It’s a job that demands professional knowledge and expertise. Great steps are being made in this and other industries regarding treatments, control agents and our understanding of insects and other pests. Because of the forgoing reasons, it is not possible to guarantee absolute accuracy of all aspects and should not be relied upon to make decisions or act upon information without the assistance of one of out fully qualified staff. The Heritage Pest Control web site and all content within are © Copyright 2004 by Heritage Pest Control – We do encourage visitors to use the information for personal education or research or even fair dealings for the purpose of review or criticism. Without our written permission no part may be reproduced by any process under the Copyright Act. Heritage Pest Control and our expert help are only a phone call away. To arrange a meeting at your home or office simply call 02 8901 2340 and find out what all your options are. Don’t disturb the “crime scene”. You might do more harm than good. Many people want to clean up, disturb or in some way. Resist that temptation! It may just be the vital information we need to identify your problem. If you have already disturbed the area collect as many sample pests and put them in a sealed jar or container so we at Heritage can have a look at it for you.